Located on the sea front in Penzance Cornwall the Beachfield Hotel offers breathtaking panoramic views of Mount s Bay.Conveniently only a ten-minute walk from the historic Penzance town centre and a five minute taxi-ride from the railway station the Beachfield Hotel is an ideal place to stay when planning a trip to the Isles of Scilly whether sailing or flying. A Victorian building dating from the 1860s and standing on grounds that were once fields and dunes where fishermen dried their nets our hotel has long been a favourite for those who know Penzance well. Much of the interior has recently been modernised and refurbished to a high standard. This is an ongoing project with only a few rooms still awaiting completion. Conveniently only a ten-minute walk from the historic Penzance town centre and a five minute taxi-ride from the railway station the Beachfield Hotel is an ideal place to stay when planning a trip to the Isles of Scilly whether sailing or flying. Explore the stunningly beautiful coastline of West Cornwall or spend the day sunbathing or surfing at the local beaches. Browse the art galleries or visit the ancient sites. Take a swim in the sea or the open-air Jubilee Pool or even an adventurous fishing trip. Whatever your holiday dreams the Beachfield will welcome you back at the end of a busy day with its comfortable relaxing atmosphere well-stocked bar and excellent restaurant. Looking for award winning '5 Star' quality accommodation in Penzance? The Camilla House is a late Georgian town house built in 1836 for a Master Mariner operating out of the port of Penzance and now converted to guest house accommodation for the discerning traveller visiting Penzance. Carnson House is a small Bed & Breakfast hotel very conveniently located in a central position in Penzance, just across the street from the Train and Bus stations. Public car parking is available close to the Hotel. The town centre is within a few minutes short walk, while the harbour is only 100-200 yards away. While being well located for all visitors, the Hotel is in an ideal position for those using public transport - whether train or bus. Chy-an-mor (Cornish for house by-the-sea) is a fabulous Regent property offering bed and breakfast in Penzance’s premier terrace. Its exceptional location overlooks Mount’s Bay, Newlyn and the promenade. Just a five minute stroll to the famous Chapel Street, with its selection of independent shops, art galleries and excellent restaurants. Ideally situated for train, bus, Isle of Scilly links, coastal footpath and discovering the history and beauty of Cornwall. Previously known as the Chy-an-mor hotel, now owned and run by Richard and Louise who have a wealth of experience gained working in the hospitality and catering industry. They hope to provide a relaxed and comfortable environment with their signature friendly style. The Land’s End Hotel is famous for its unique and breathtaking location with spectacular views across the Atlantic Ocean to the Longships Lighthouse and the Isles of Scilly beyond. Situated at the far west tip of Cornwall the hotel retains much of the charm and tradition of its Victorian heritage and with 32 en-suite bedrooms you’re sure of a comfortable and relaxed short break by the sea. Lombard House Hotel was built in the early 18th century. It is a Grade II listed building with many period features. Located on a quiet south facing terrace overlooking the sea and the promenade. Private guests car park. Tom and Rita have owned and managed Lombard House since 1995. Their aim is to provide a warm and welcoming atmosphere with a very high standard of service and comfort. They are resident at all times. A lovely front garden is available for guests to sit in and relax with a good book or perhaps a glass of wine, whilst enjoying the wonderful views across Mounts Bay. A perfect location for a long or short break. Quality bed and breakfast where you can experience the unique and homely surroundings not found at other hotels. Lombard House is conveniently located for the town centre, pubs & restaurants and many local attractions. The train and bus station is only a few minutes away and the Scillonian ferry terminal and heliport for the Isles of Scilly are also nearby. The Lugger Inn is situated on the beautiful sea front in Penzance affording views across Mounts Bay the hotel is over 100 years old and is rich in character. The Hotel proprietor Lesley has been running the business since 1999 and she prides herself on the hotel / restaurants homely atmosphere and the famous carvery which is of a very high standard and locally sourced thus making the guests and customers stay a memorable one. br / br / br / br / The Lugger Inn is ideally situated for access to the Isles of Scilly Newlyn Fishing Port St. Micheals Mount The Minack Theatre Lands End and the famous Eden Project. Within walking distance of the town and the train & bus terminals as well as the heliport for the Isles Scilly and the Scillonian Ferry. Whether you are looking for a mini break/relaxing holiday or a superb dinning experience Lesley & Crew will make you more than welcome! br / br / br / br / The Lugger Inn does host many Wedding receptions and various functions throughout the year .Please note when functions are taking place the noise level is likely to be higher and do affect rooms closer to our function room (Rooms 123568). Set high above the historic harbour in Penzance and overlooking the world famous Mount's Bay toward St Michaels Mount is one of Penzance's most important listed buildings dating from the mid 1600's. The Abbey with its walled garden, courtyard and period features allows you to discover true comfort and provides a relaxing, casual yet elegant atmosphere for you to enjoy the finest aspects in West Cornwall. Set along a narrow street dotted with 18th-century buildings this traditional pub and B&B near the quayside is a 4 minute walk from Penzance Harbour and a 10 minute walk from Penzance train station. br / br / br / br / Offering en-suite bathrooms sea views and vibrant wallpaper the 3 rooms have modern furnishings free WiFi and flat-screen TVs plus soundproof floors and tea and coffeemaking facilities. 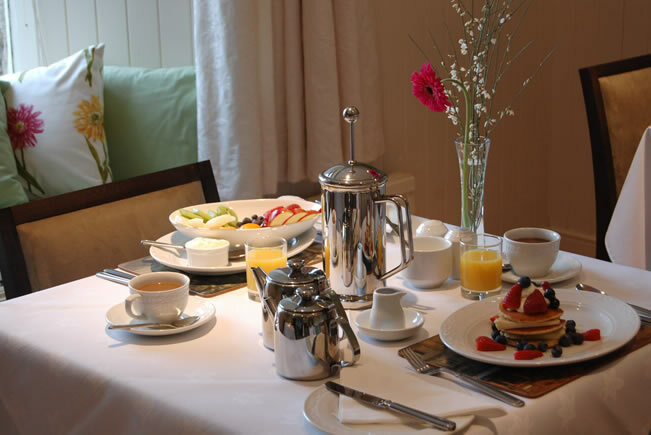 Complimentary Cornish breakfast is served at in-room dining tables. br / br / br / br / The bustling pub which features leather sofas and brick fireplaces hosts regular live music and quizzes and serves pub grub and real ales. There s also a courtyard garden. The Fountain Tavern is based in the town of Penzance with very easy transport links taking you to popular destinations. We are a family run business and all our guests receive a warm welcome. We pride ourselves on our excellent food which is freshly cooked and locally sourced by our talented Chef. Our guests should they wish can receive an extra benefit of 10% off their food cost if booking lunch or supper with us. br / br / br / br / We are recently refurbished at the Fountain where comfort and your happiness is paramount to us we offer a variety of rooms to suit every budget. Easily accessible from our location are popular tourist destinations including St Ives Lamorna Mousehole and many more. Nearby is Penzance Harbour and Quay and from some of the rooms you can see the Scillonian Ship making its way to and from the Scilly Isles. br / br / br / br / Our rooms suit every budget . We have four rooms available in three of these there are 32 TV s with Freeview and free WI-FI with all four having good size en-suites. Our top room The Lookout has the best view and is a large room with a king size bed double sofa bed dining table and other furnishings so can easily cater for a family of four or just a romantic stay for two. Quayside Bayside and Beacon are all charming rooms with period features. Come to the Lugger Inn, Penzance, located on the only promenade in Cornwall and an ideal setting for your holiday. The Lugger, is a comfortable family run hotel with its own Wheelhouse Restaurant and centrally located for the town's facilities - the Hotel occupies an ideal position overlooking Mounts Bay. It has full central heating throughout and has an informal and convivial atmosphere. A private car park with easy access and ample space at the front of the hotel. With the recent completion of the refurbishment the hotel is now able to offer facilities for conferences, meetings and special celebrations including weddings. The Stanley guest house on the promenade in Penzance is owned and run by Kate and Mark Johnson and offers high standards of guest accommodation and a very friendly, relaxed service. All rooms are en-suite and most have spectacular, uninterrupted sea views over Mounts bay, Newlyn and St Michaels Mount, being situated on the sea front opposite Jubilee Pool and close to the harbour, town bus, train station and ferry port for the Scilly Isles. This is a quiet haven for exploring Cornwall on foot, by road, rail,air or sea. Costal footpaths, The Isles of Scilly and Eden are easily reachable, as is the Minack Theatre, St Ives, Mousehole and Lands End. Torwood House is a small early Victorian family run hotel situated in a quiet part of Penzance yet within an easy walk of the town centre and sea front. Tastefully furnished and decorated throughout with 8 bedrooms, most of which are en-suite including 4 poster bedrooms for that special occasion. All are equipped with a hairdryer, a television/DVD player, Digi Boxes and Wireless Internet, radio, tea/coffee making facilities, central heating. A comfortable dining area where a full English breakfast is served with various options including Continental and vegetarian are available. The Union Hotel dates back to the 17th Century and has featured remarkably in many of the important events of the United Kingdom's history. The Union has provided accommodation for Royalty, Prime Ministers and great artistes but all travellers have been assured of a good meal, a hot bath and a comfortable bed. The hotel occupies a prime position in the centre of Penzance, in what is considered to be one of the finest streets in Cornwall. The Union Hotel prides itself on its reputation for retaining yesterday's standards in today's modern world. You will find crisp white sheets, fluffy white towels and above all a high standard of care and courtesy from the resident proprietors and their staff. Warwick House is a charming Regency period Guest House built in the 1830’s and now a Grade II listed building, with superb views of Mount’s Bay. The Guest House enjoys an enviable position between the promenade and the quaint inns and restaurants of historic Chapel Street. Penzance is the perfect base to discover Cornwall. St. Michaels Mount, Lands End, St. Ives, and the inspirational Minack theatre are close by. The Eden Project and Isles of Scilly can also be easily reached.